I am now back to my hyper I-wanna-go-try-every-new-restaurant-in-Cebu self. So it was perfect timing when I saw a friend's Instagram picture of Cafe Tiala and read about it on iluvcebu on the same day. 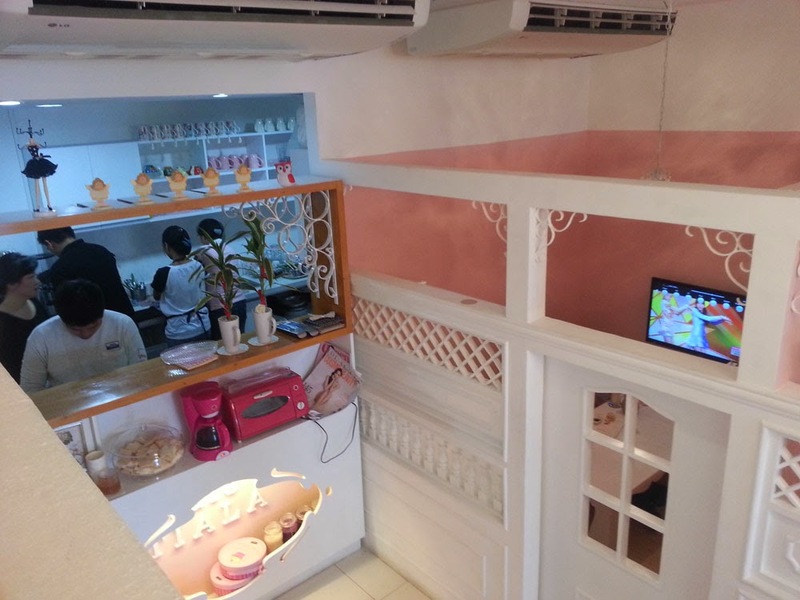 Iluvcebu described it as a princess-themed place that makes you feel like royals. Of course, "cute" and "princess" would automatically lure me. Haha. At first glance, it looks like your typical Korean cafe that's been popping out everywhere in Cebu: tree house concept, cute ambiance with stuffed toys, and yummy but way too overpriced food. 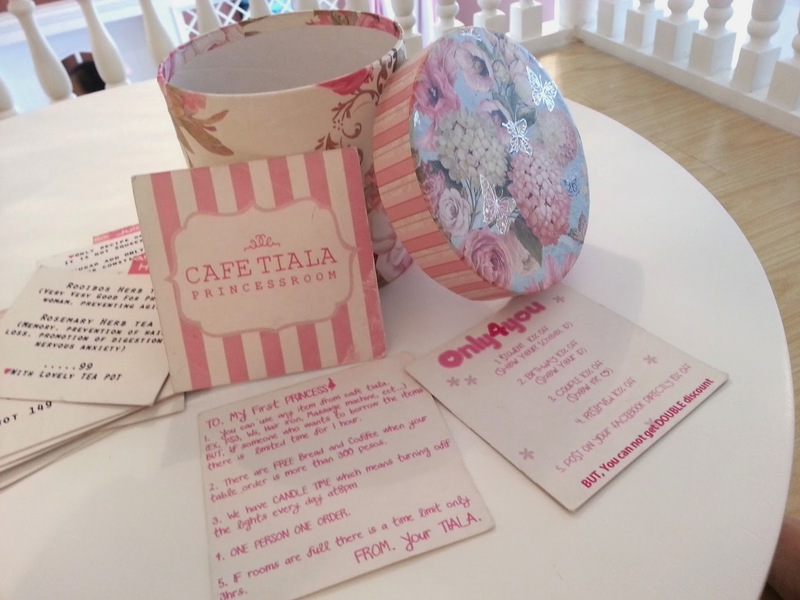 It says, "To my first princess, you can use any item from Cafe Tiala. Ex: PS3, wii, hair iron, massage machine, etc.." How hygienic it would be to borrow some of those items though, I wouldn't know. Haha. 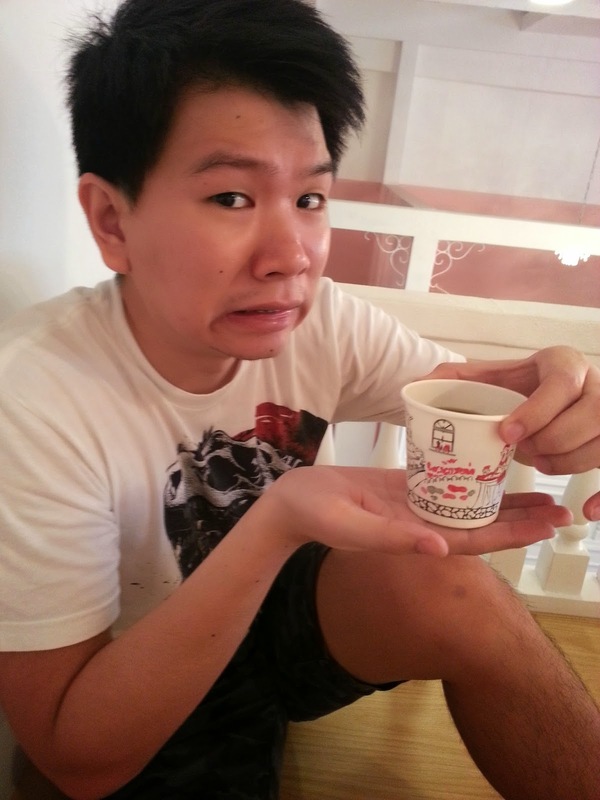 Unlike the typical Korean cafe though, they had more than just a handful of items on their menu. 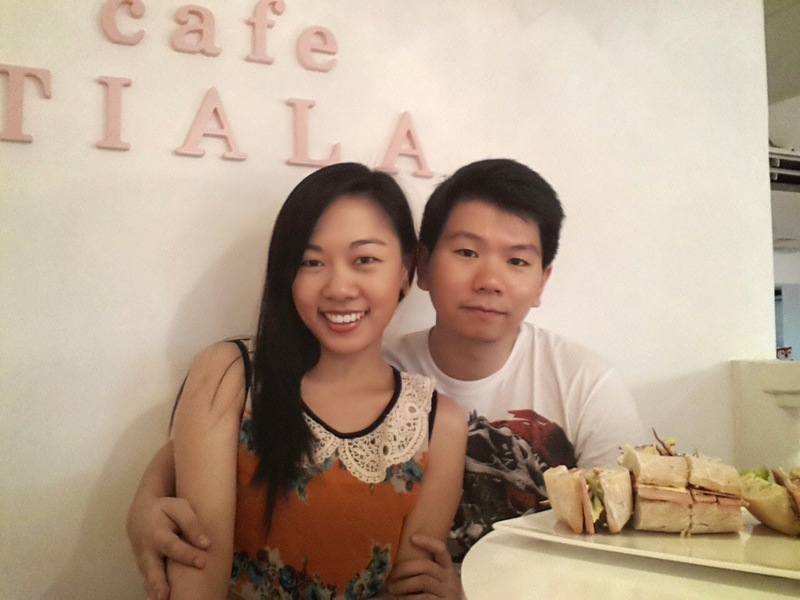 You can actually choose from sandwiches, coffee, tea (and they specified on their menu that it comes in a cute teapot, too), smoothies, ramen..
We opted for a kiwi smoothie and the Tiala Sandwich which was actually ham & cheese to share. And they were goooodd. Felt like it was so much more worth it compared to other Korean cafes in town. I think it cost P140 and P180, respectively, because we made a conscious effort to buy food that would total to a minimum of P300. Why? Laid back Sunday OOTD: online buy top, Forever 21 coral shorts. ORANGE you thankful for Sundays? HARHAR. AND we also found that portion on the menu that listed ways on how to get discounts. Figured we could qualify for the couple discount but we didn't exactly know what "show your <3" meant. So we chose the one that said, "Post immediately on Facebook - 15% off." AHA! That's an easy one. hi i love your blog.. it feels like im traveling as well with you. great places and faces. i also was interested in going to those amazing places. nindot dyud and cafe tiala.. na amazed ko dear... hope to see more updates. 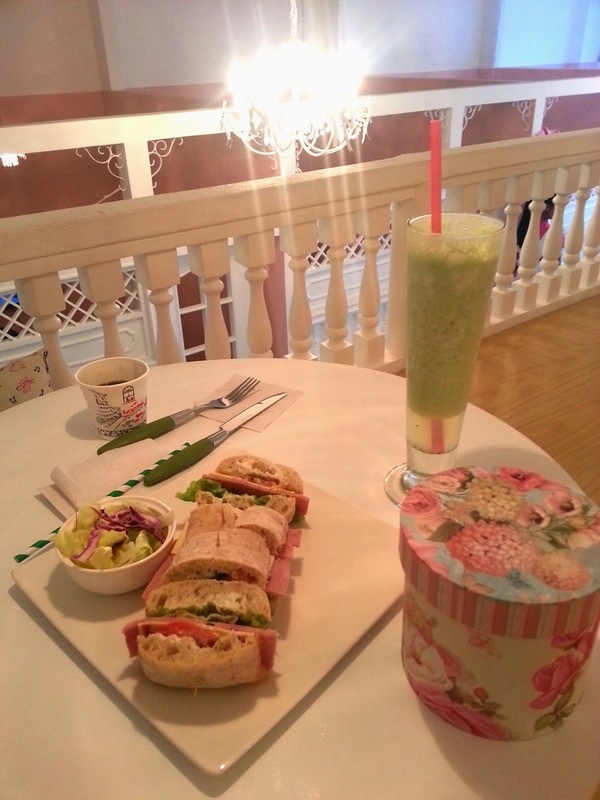 This is such a cute cafe! I'll definitely include this in my places to visit in Cebu! Btw, followed you through GFC, hope you can follow back too. Looking forward your other posts. I don't really use GFC. Would you like to follow each other on Bloglovin instead?